02 GSXR . Excellent shape, never dropped, scratched etc. Original mature owner. Polished rims, Micron high mount exhaust, polished rear sets, K&N air filter, flush mount signals, new tires etc. Will sell for $ obo. Looking for a newer sled, 4x4 ATV, daul sport or touring bike also if you have a trade. 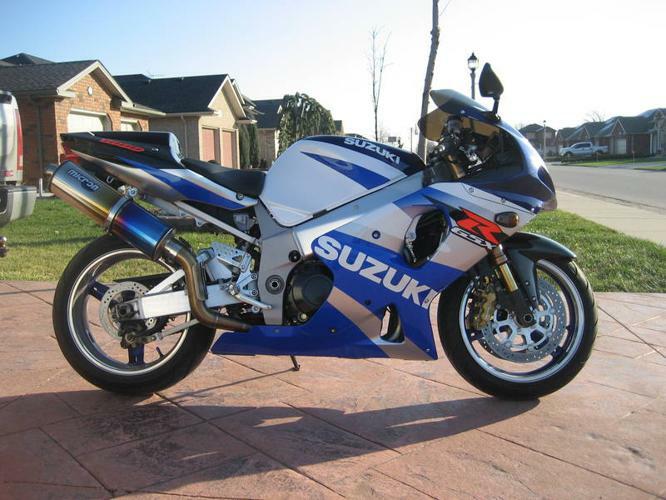 2002 Suzuki GSX-R 1000 - turn key and ride! fuel injected, all fluids were changed last summer, chain,sprockets, clutch,all in great shape. turn key and ride!